ACTAC’s Teacher Aide Courses are nationally recognised, industry specific qualifications providing students with the skills to excel in the classroom environment. 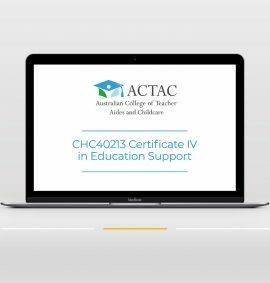 ACTAC’s Childcare Courses are provided under the national training package which is approved by the Australian Children’s Education & Care Quality Authority for those wanting to undertake an approved child care course online. Our trainers hold a minimum of a Bachelor of Education and have worked in the education sector as primary or high school teachers, teacher aides, Early Childhood Teachers and in Adult Education. ACTAC’s qualifications are nationally recognised and on the Australian Qualifications Framework and listed at www.myskills.gov.au , allowing progression to higher level study. ACTAC is a specialist provider of teacher aide courses and childcare courses for those wanting to work with children. ACTAC was founded to provide accessible and affordable access to industry leading childcare courses like the CHC30213 Certificate III in Early Childhood Education and Care up to the CHC50113 Diploma of Early Childhood Education and Care and teachers aide courses like the CHC30113 Certificate III in Education Support and the CHC40213 Certificate IV in Education Support. 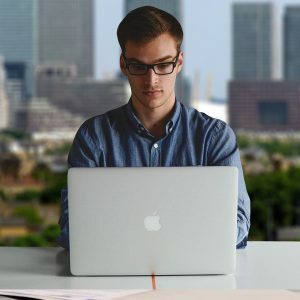 Our aim is to provide students not only with the practical skills needed to provide professional care and education support for children but also equip students with the skills employers are looking for. The practical knowledge provided by ACTAC’s specialist trainers gives ACTAC students the edge with employers.